Han Zi Hao has always had courage. 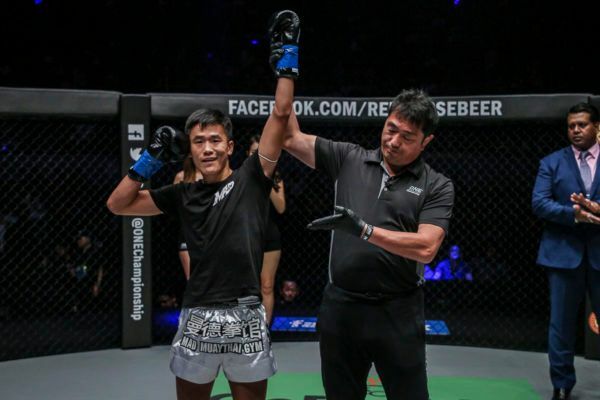 He used it to face up to his bullies when he was a child, and now he uses it to face off against the world’s best martial artists in ONE Championship. 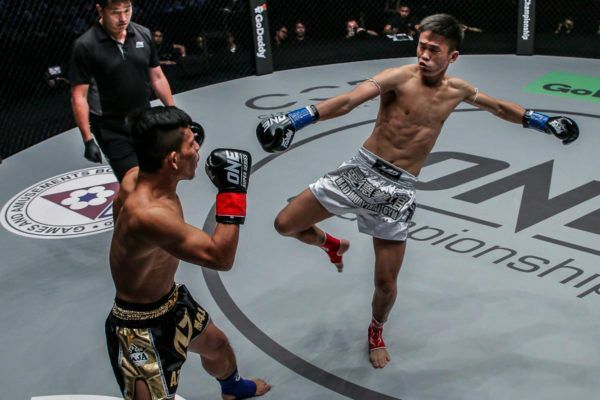 At ONE: CLASH OF LEGENDS on Saturday, 16 February, he will have to channel every ounce of it into his performance when he takes on Nong-O Gaiyanghadao for the ONE Bantamweight Muay Thai World Title. For the 23-year-old Chinese athlete, championship success in the world’s largest martial arts organization would be a phenomenal sporting achievement, but also an act of defiance against those who tormented him as a youngster. Why Han Zi Hao is China's #1 Muay Thai athlete! “If they were standing in front of me now in the cage, I could take them down any minute,” he says. Han was hardly a model student when he was younger. He often misbehaved – which he admits he did as a cry for attention from the adults around him. When his family moved away from his home village to the city, his behavior made him stand out, and he was sometimes the target of bullying by other students. “In my hometown, there was no bullying. Later, when I came to the city, I was often bullied,” Han explains. China's top Muay Thai athlete Han Zi Hao has a powerful message for legendary 5-division World Champion Nong-O Gaiyanghadao! He struck back, despite the odds being stacked against him, and this landed him in hot water more often than not. Still, he would not change his reaction to those who tried to belittle him. “I caused some trouble by fighting together with other guys, but I didn’t regret it,” he says. The combination of the bullying and his own bad behavior meant Han struggled academically. His attention was not focused on his studies, and his grades were poor. However, this led to a situation that allowed him to excel. His lack of success in mainstream education meant he took up a place at a specialist school, where he trained in martial arts and focused his attention on his athletic prowess. It reined in his need to act out for attention and taught him humility. Will Chinese striking sensation Han Zi Hao do this to Nong-O on 16 February? “My school scores were too bad. I simply chose to go to the martial arts school, and thought of the future where I would not let people bully me,” Han recalls. Han was a prodigious sanda talent, who was was soon offered an opportunity to train and compete for the Chinese national Muay Thai squad. Aged just 15, this prompted an even more life-changing offer, when he was sponsored to go and live in Thailand to hone his skills in the art of eight limbs. He encountered a familiar scenario when he made it Bangkok with two of his teammates. The new faces were instantly singled out for poor treatment. “The owner of the gym treated us very well, and some of the famous fighters in the gym were also very good to us, but to be frank, we were bullied sometimes. After all, we were kids struggling in a foreign country,” he explains. Han and his friends did not want to cause trouble for the gym owner, but the persistent mistreatment from the older students eventually came to a head. Like in his younger days, the Mad Muay Thai Gym representative would not let himself be a victim, and he stood up for himself. The gym owners found out about the bullying after a confrontation in the living quarters, and put a stop to it. All of these instances forged Han into a stronger person – even if it was a tough way to learn. He went on to become a Top King Muay Thai World Champion before he joined the world’s largest martial arts organization, and now he is set to compete for the biggest prize in martial arts. That is partly down to his strong character, but also because he became smarter as a result of the bullying. China's premier Muay Thai athlete Han Zi Hao made the ultimate sacrifice of leaving home for a chance at greatness. This Saturday, he gets his shot at ONE gold. “Of course it changed me. I learned not to be so impulsive,” he adds. For those going experiencing similar problems, Han has one piece of advice. “Don’t get mad, get stronger,” he says.